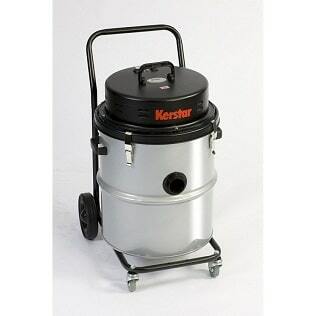 The Kerstar CV65/2 is a dry industrial 65 litre, 2,000 watt vacuum cleaner. The machine uses the most modern hard wearing materials and is constructed for a long, trouble free working life. This range of machines is built around an 18 inch (455mm) heavy gauge high quality stainless steel canister carried on a tough electrostatically coated tubular steel caddy.